Q&A: What Really Happened at the Power Cabin in 1918? In 1918, an early-morning shootout in a remote area of Arizona left a sheriff and his two deputies dead, Jeff Power mortally wounded and Jeff’s sons, Tom and John, in trouble. Questions, theories and accusations would persist for the weeks, years and even decades that followed. Historian Heidi J. Osselaer’s new book, Arizona’s Deadliest Gunfight, looks to separate fact from false leads and conspiracy theories, tracing the Power family’s roots back several generations. We asked Osselaer a few questions about the book. Why did you begin researching the Power gunfight? What interested you in the story of the shootout? As a historian, I am fascinated by the unknown story, and clearly, this was one. This is a story that still has a hold on people. When we were screening the film, hundreds of people would show up around the state. It’s just such a draw. I’m always shocked at it, but I think it speaks to different people in different ways. Some people are very interested in the politics of it [and] what was going on during World War I. Some people are interested because it’s like a detective novel. For me, it was more the politics of it, because I’m a political historian, but for a lot of people, I think it’s because they want to find out what really happened. When did you realize you wouldn’t be able to uncover what really happened? It became clear to me very early on that too many documents disappeared, too much time had elapsed. As much fun as it would be to solve a 100-year-old murder mystery, I wasn’t going to do it. But I really like the politics of the time period, and this was something I hadn’t really heard about. Were there any surprises during your research? One thing that nobody knew about was that they were under investigation by the FBI. When I started looking at all of the material, I realized they’re draft evaders — the federal government would be looking for them. I went to national archives in Riverside, [California], and these guys didn’t show up on the deserters list or anything like that. I thought, “That’s weird,” but I knew from reading that they would be under investigation, and lo and behold, the archivist there helped me find those records. I also went back East, to the Department of Justice and military intelligence records, and what was just shocking to me was here these guys were under investigation and all kinds of misinformation informed this decision. No wonder everybody was making up stories — nobody knew what was going on, even in real time, because they lived in such a remote area. I kept thinking that they were doing something wrong, that the Power brothers were doing something to attract attention, and instead it was what was going on in the bigger picture in the United States that was forcing the hand of law enforcement to go out after draft evaders. You visited the cabin where the shootout took place. What was it like? It is an incredible place to visit. 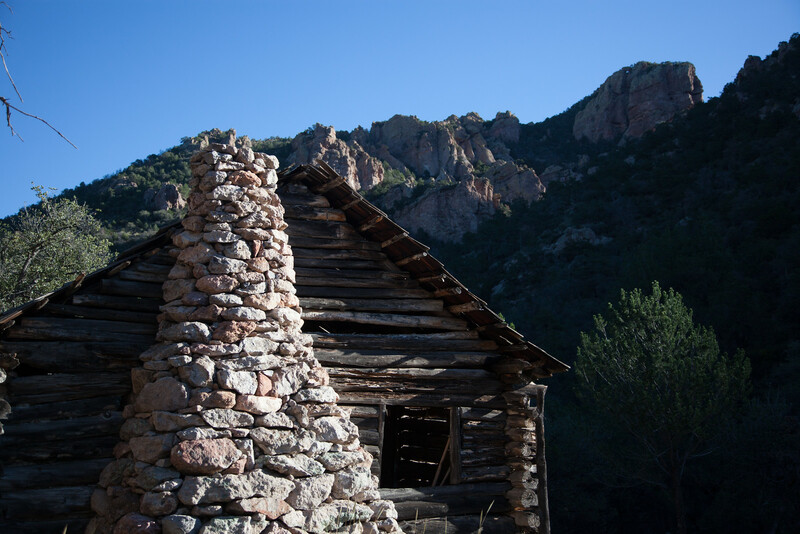 You have to be prepared and do your homework, but it’s one of those rare places where we have out in the wilderness area a building that’s on the National Register of Historic Places. It’s amazing. Back then, you were just miles from the nearest neighbor. Now you’re even farther from civilization. Klondyke used to have 300 people in that community, and now there’s 5. It’s a ghost town. How did Don Dedera (a former Arizona Highways editor) help your research? He was absolutely a wonderful resource for the book. These guys [Tom and John] died in the ’70s, so there’s only a handful of people around that really knew them well. A lot of people knew them to say hi, but didn’t know them that well. For him to share his memories was really awesome. Heidi J. Osselaer's Arizona’s Deadliest Gunfight is available for purchase on Amazon.